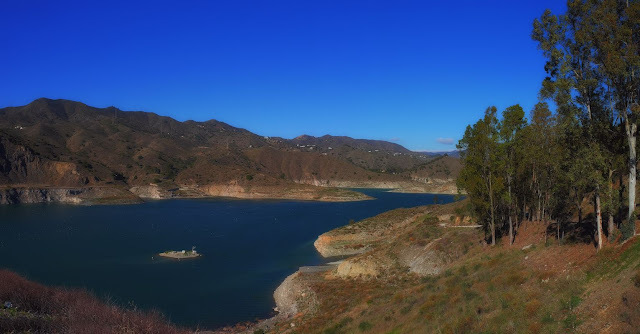 Take a look at this peaceful artificial lake (stitched with 2 photos): El Limonere that you can find right outside of Malaga City. Just follow the dried up river bed of Guadelmedina from the city and the coast - through the city and up to a dam in the backland. For several of the days we was in Malaga we liked to do some biking tours and rented bikes for trying out some "Off the beaten paths" tours. This day we come to this fine place a small hour to bike up from the coast and the city center. In spite of heavy traffic there are bike paths and roads everywhere. 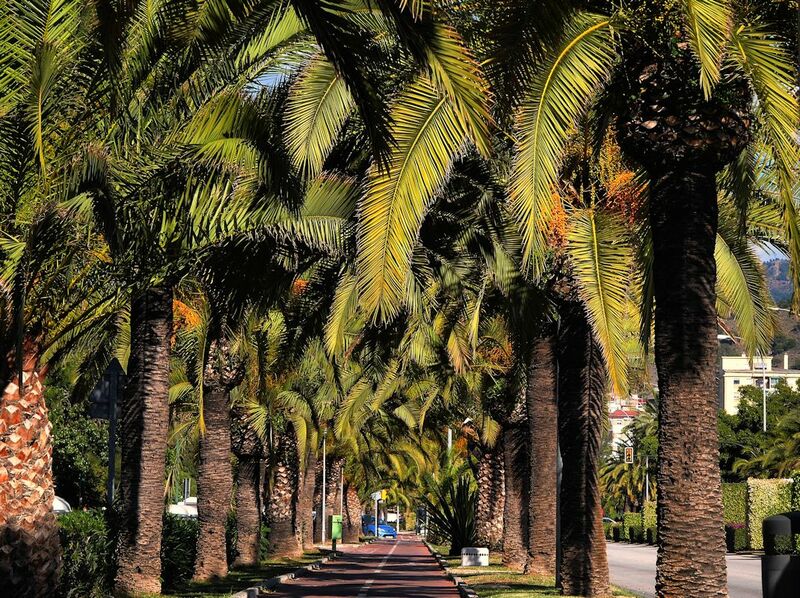 This is the bike lane on the road out of Malaga - close to the big stadium.